Couples, mothers of the bride or groom, and wedding parties will fully immerse themselves in the services of wedding professionals that have separated themselves from pack with passion for their craft and ethically conscious practices. Over 50 participants. Experiential Dressing Lounge // Handcrafted accessories, beauty services, wedding gowns, bespoke suits, beyond. Inspired Wedding Reception Decor // Floral installation, tabletop design, lighting, drapery, beyond. Detroit Cultivated and Forgotten Harvest are excited to announce a new partnership. 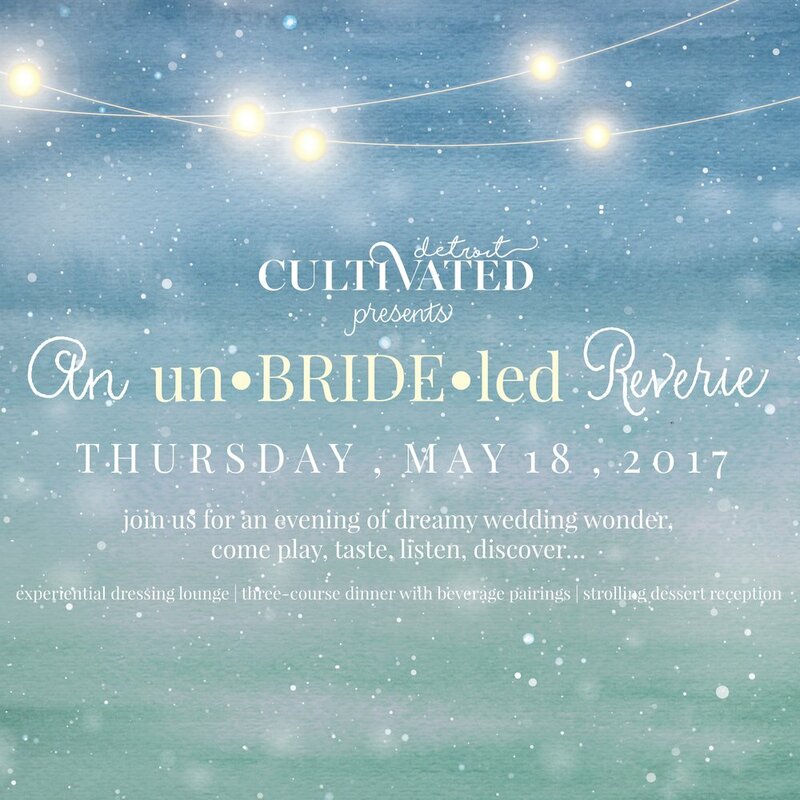 For each un•BRIDE•led ticket purchased, four meals will be donated in an effort to relieve hunger in metro Detroit. We will also work together to redistribute nutritious food waste from un•BRIDE•led and all future Detroit Cultivated events.